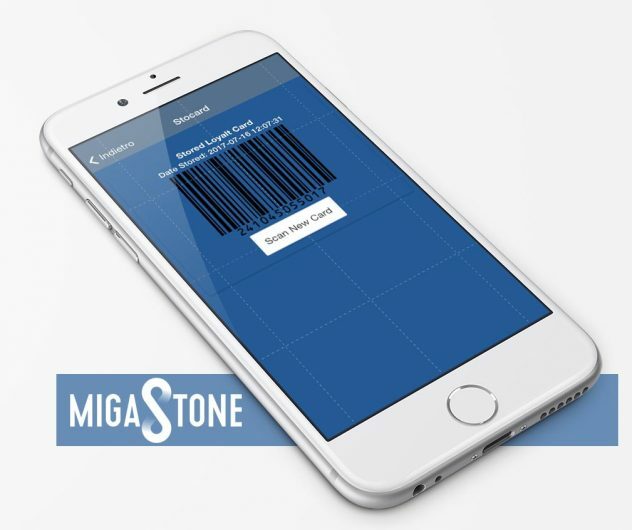 This product is sold by our partner MIGASTONE. The support is provided by this vendor directly. You will get his support access in the purchase receipt email. Welcome to the version 1.0.2 Virtual Loyalty Card. The Virtual Loyalty Card is a module that allows to SCAN and STORE one PHYSICAL LOYALTY CARD inside the APP. The user can simply open the APP, go inside the Module Virtual Loyalty Card and the cashier will scan the BAR code showed on the screen. With this simple module any shop that has already a loyalty program based on physical plastic cards, is able to offer to the customer a digitalize vesion of the Physical Loyalty card. A nice leverage to get the app downloaded and installed. The module can store only one card per time, to make the management very simple. We choose to store only one card because the target of this module is digitalize the Loyalty Card of the Shop / Merchant that owns the App. The Module don’t need ANY configuration, just install it and use it. 2. The shop offer a new way to store the card inside the Shop’s App and save space in the pocket… the user can leave the card at home in the future. 5. The Bar Code of the card is stored inside the module. Is possible to store more then one card ? NO, but we want to release a new version doing that. Upgrade to the new version is included in the current version purchase (12 months updates) . We will allow then the App owner to decide if allow or not the storing of multiple cards. Is possible to scan all the type of the bar codes in the market? UPC-Athe most used bar code in Europe and US.